So like millions of people across the world, I have been playing Pokémon Go lately. If you think the massive popularity of the game has come out of nowhere, you’re not wrong. While it was released less than a month ago – July 6th – Pokémon Go is available in 40 countries and has been downloaded over 100 million times. 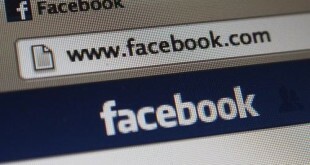 It makes over 10 million dollars of revenue daily! The demographics are also interesting. The assumed gamer profile has classically been young men, but the majority of Pokémon Go players are female. 25% are in the 30-50 age range, and 6% are over 50. 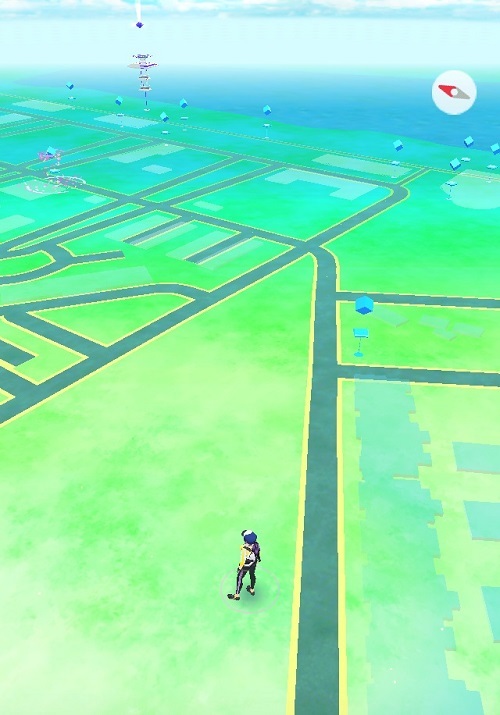 Thus, Pokémon Go has seen massive success in a large market because of its unique gameplay. Let’s check it out. I start today’s search in a residential neighborhood. There’s not any Pokémon to be found here since the game is focused on placing Pokémon in highly populated areas. I’m going to take a walk to the coffee shop, since that’s a more populated part of town. A bit further on my walk, 2 Pokémon show up on my map: a pidgey and a rattata. By tapping the Pokemon on my screen, I can enter a screen in which I capture them and add them to my collection. 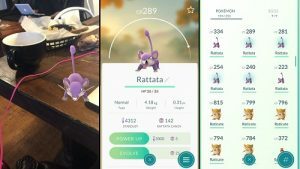 These are 2 of about 150 total Pokémon that players can currently capture; many will recognize them from the 1990s iterations of the series, but for many, Pokémon Go is their first introduction to the pidgeys and rattatas of the world. 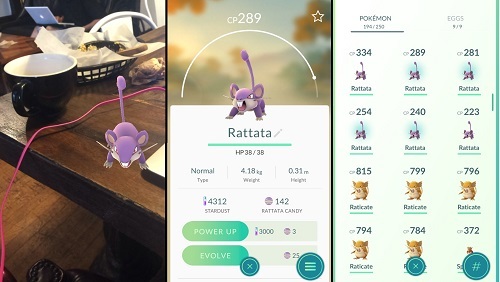 The first image is a rattata that I caught showing up in the real world (I included an image from later on in the coffee shop). Now that I’ve captured the Pokémon, it has been added to my collection. The ultimate goal for many is to “catch them all.” This has been a common thread for the entirety of the series. But in addition to adding 2 unique Pokemon to my collection, I can also battle other players’ Pokémon in gyms with my best Pokémon . Like everything else, these gyms are in real-world locations. 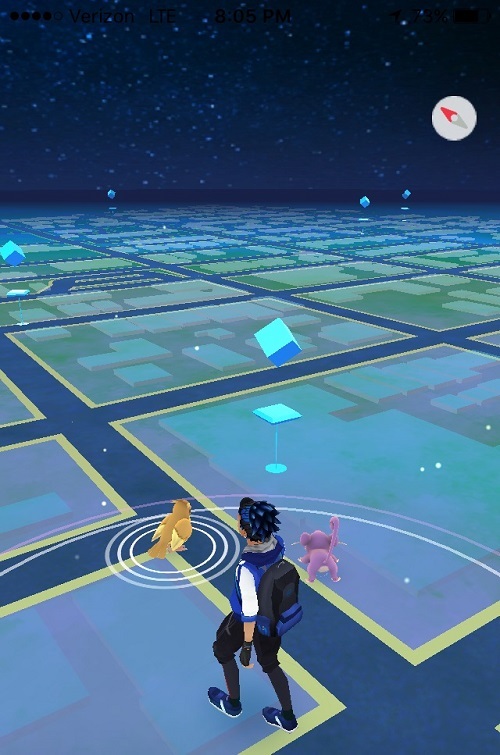 Players in the game can choose between three teams: Instinct (yellow), Mystic (blue), or Valor (red). 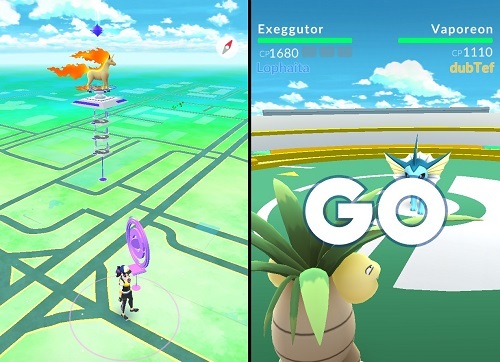 As you travel through your city, you can attack gyms of the opposing teams with your Pokémon. I personally chose Mystic since many of my friends had chosen it; in this way we can walk between gyms and attack them together. Pokémon battling each other has been a staple of the series. If your Pokémon are stronger than the ones that you encounter in the gym, you can capture it, which comes with in-game rewards. It also can give you a sense of pride seeing your city have one more gym with your team’s color. Coming up to the local coffee shop, you’ll notice that there is a blue circle on the map. 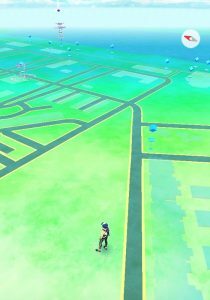 Many popular locations in the game are Pokéstops, where you can collect items and typically encounter more Pokémon . These items can refill supplies – Pokéballs to catch the Pokémon, potions to heal them, and eggs that hatch Pokémon can be collected here. 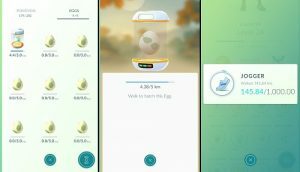 The eggs collected at Pokéstops can only be hatched by walking. 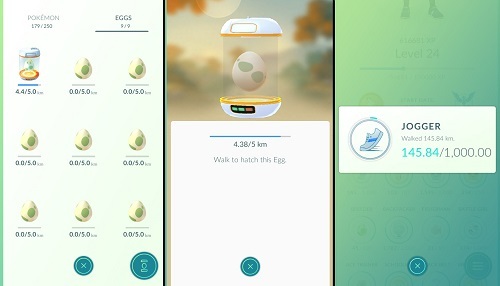 Eggs either require 2, 5, or 10 kilometers of walking distance to hatch. I’ve walked a bit over 100 km with the game open, and many have walked even further. Pokémon Go creates a real incentive to travel around your city with this metric. 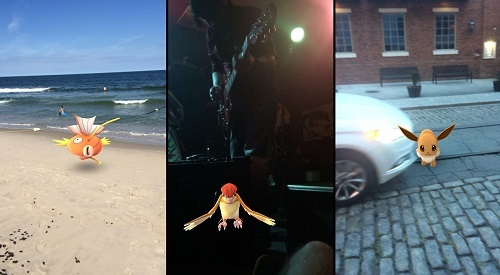 The main aspect of Pokémon Go that sets it apart is that it uses something called Augmented Reality technology for its gameplay. While Virtual Reality creates a separate reality for its gameplay (creating an entirely new world for a game player to experience), Augmented Reality uses the world around us as a set to explore and play in. If you’ve ever seen the yellow first down line marker placed on a TV football broadcast, you’ve experienced a form of Augmented Reality. While there are some apps that use this technology (such as Yelp and Snapchat), Pokémon Go is the first game to achieve popular success with this format. Combining this unique Augmented Reality technology with content that many people are familiar with (Pokémon as a franchise has been in existence since 1995), Pokémon Go has captured the world’s attention with its novelty. As this style of gameplay inevitably becomes more popular, the average gamer stereotype may be defined as an average person walking around their city, having a great time with their friends. And that doesn’t sound too bad to me.